We got spirit, yes we do! We got spirit, how ’bout you? 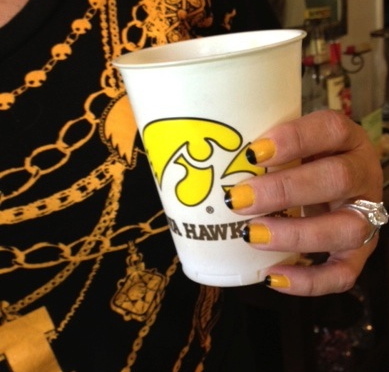 Coordinating her nails with our team colors didn’t help with a victory but looked fabulous anyhow! Both nail colors are Sinful brand from Walgreens, $2.99 each. 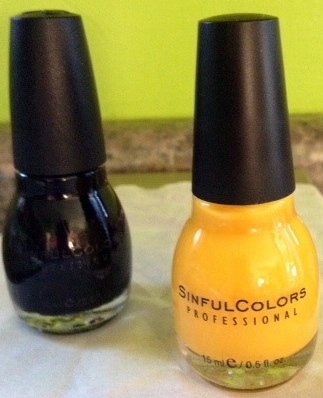 Yellow hue is Pullover and Black on Black was used for the tips. 2, 4, 6, 8 – who cares who wins when your nails look great?